I’m back in the states, and I apologize that it’s been a while since my last posting. Shortly after that entry we were joined at Mpala by 15 undergraduates from the University of Michigan, two professors, and their families. Kayla, Walker and I moved with the students to another location without power, let alone internet, and our time became completely consumed by the day to day logistical planning of making a field course happen. Let me fill you in a bit on the goings on. The plan for August was to help our professors introduce these 15 undergraduates to the many ins and outs of being a field researcher in East Africa. The students were participating in a course described enigmatically as “Conservation and Sustainability Challenges in East Africa” which if you think of it can pertain to almost anything you could think of to study. This flexibility turned out to be perfect because we had a gloriously diverse array of students majoring in everything from film to engineering to economics to judaic studies, all with a common interest in the environment. Our goal really was to give them some hands on experience with the kinds of work we’d been doing and give them a really broad sense of research currently happening at Mpala and opportunities for other research that could be happening in the future. Our major criteria for success was that we delivered all 15 students safely to the Nairobi airport at the end of the month, along the way I think they had a bit of fun and learned quite a lot – bonus! Here’s a look at where we were living. 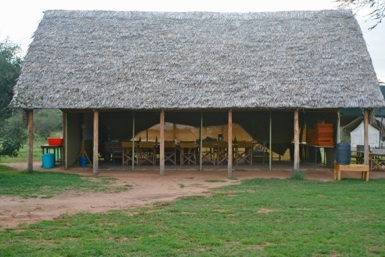 Instead of the main research facility we stayed at “River Camp,” A tented camp about a 10 minute drive from the primary research station and nestled right up next to a beautiful river, the Uaso Nyiro. 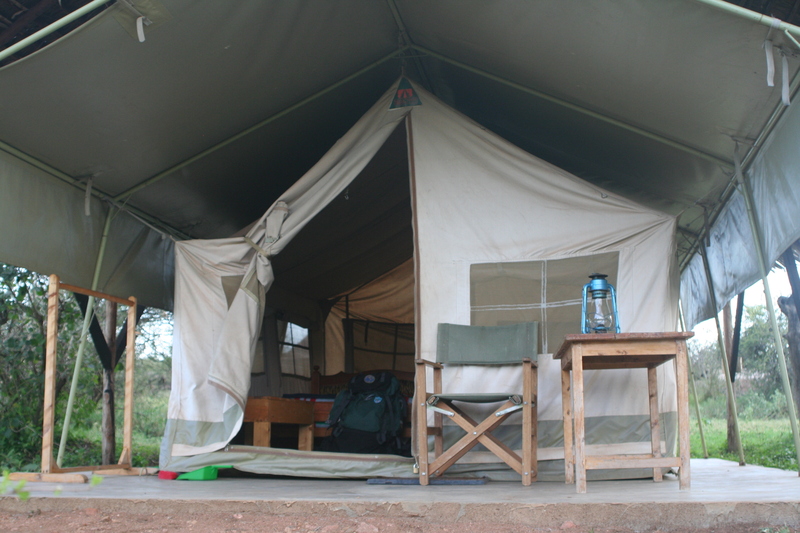 We had beautiful canvas tents all overlooking the river, we went to sleep each night with the babble of the water and the (pleasantly) distant whoop of the hyena. she had asked the staff to have it taken away but I think they thought it was funny too. 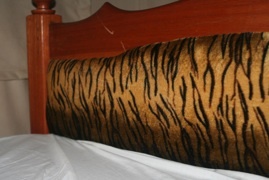 Unfortunately I suspect I was the last to ever sleep in that bed, at least at Mpala. 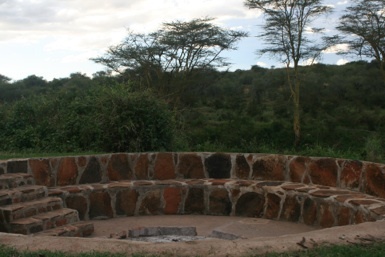 Here’s a picture of our common areas: the dining tent/classroom and a fantastic fire pit which was an amazing spot to just sit, talk and enjoy a campfire late at night. Among the different class activities I took the students out one day to get a good look at the ants living on the acacia trees that I was working on. Our goal was to investigate the different levels of aggression each of the four species of ant displayed in response to different stimuli simulating herbivory but an elephant. We had a lot of fun shaking trees and counting ants. Or at least, I had fun watching the students shake trees and count ants. 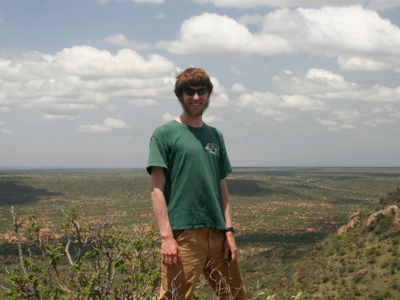 Other highlights were hiking to the top of Mukenya, the highest point at Mpala. That’s where the title picture was taken, but don’t worry, the beard is gone now! We saw some amazing animals with the undergraduates too: we all saw a lion together and several of them went out on a single night drive and saw both a pair of lions, a leopard and a bunch of hyena! Unbelievable! It was impossible to really tell them how lucky they had been. 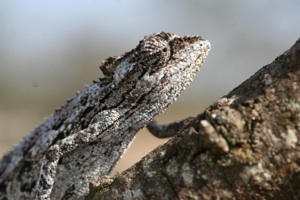 Here are a few other wildlife photos. All in all the course was a fantastic experience. It very much whet my appetite for more teaching in the future. 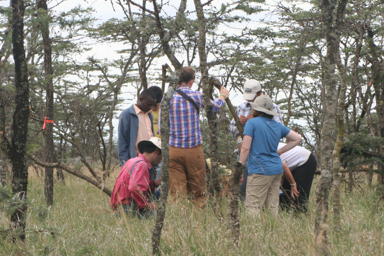 It’s become very much a dream of mine to organize and lead a class like this myself… perhaps at Mpala one day.